Yes, I know, we're almost a full week into March. But February really took me by surprise, so I'm running a little behind. I usually don't mind that February is so short but it really felt short this year. 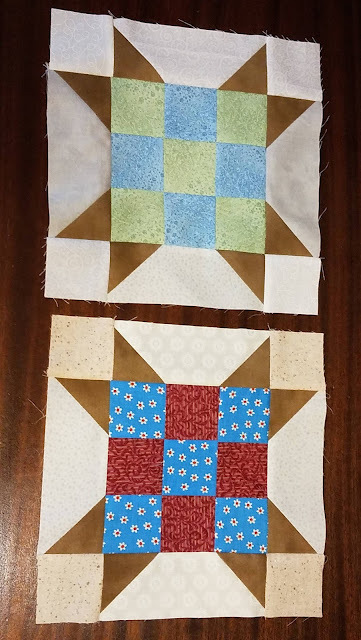 In Stash Bee, Queen Lori asked for Sister's Choice blocks. This is a traditional block that I had never made before. I enjoyed the block and could see making them again. By now, I think everyone knows how much I love novelty fabric. Queen Darrel of Hive 7 asked for novelty blocks appropriate for teenage boys. The tricky part is that each of the disappearing 9-patch blocks required 4 of the same novelty fabrics. I was able to find a few that I thought would work and sent them off to Darrel in Australia. 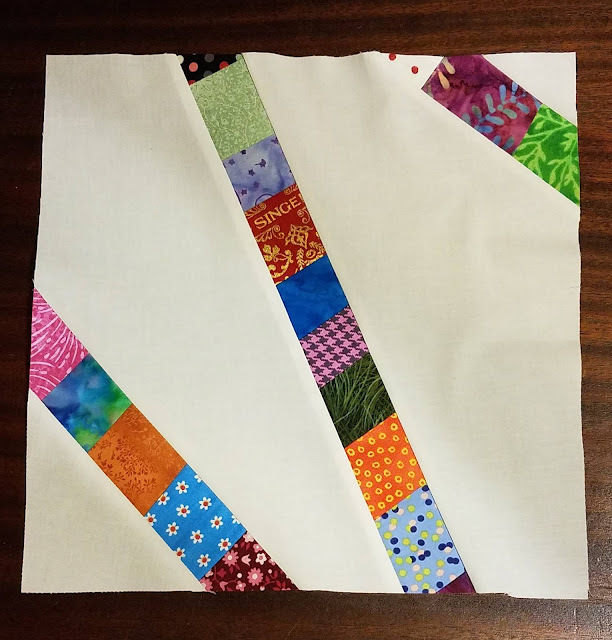 In Bee Inspired, Queen Ann asked for an improv block with strips of bright scraps. We were to sew the small scraps onto a strip of muslin and then add 2 or more stripes into the block. I made about 40" of my crap strip. I was worried about matching up my strips if I crossed them so I chose to have multiple strips that did not cross. Inspired by Kate at Life in Pieces, I've been tracking how many days I spend at least 15 minutes sewing. In February, I got sewing time 24 of the 28 days, for a total of 86%. I'm also at 86% for the year so far. 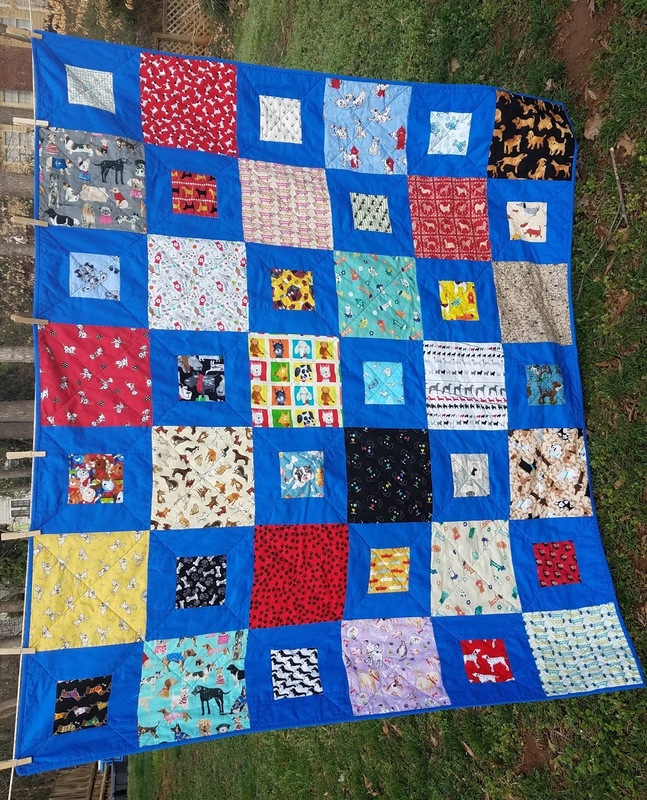 I'm working on my PhD (Projects Half Done) with Quilting Gail. Her challenge is to finish at least half of your unfinished projects AND finish anything started in 2018. I have a list of 25 unfinished projects and must finish at least 13 to earn my PhD. 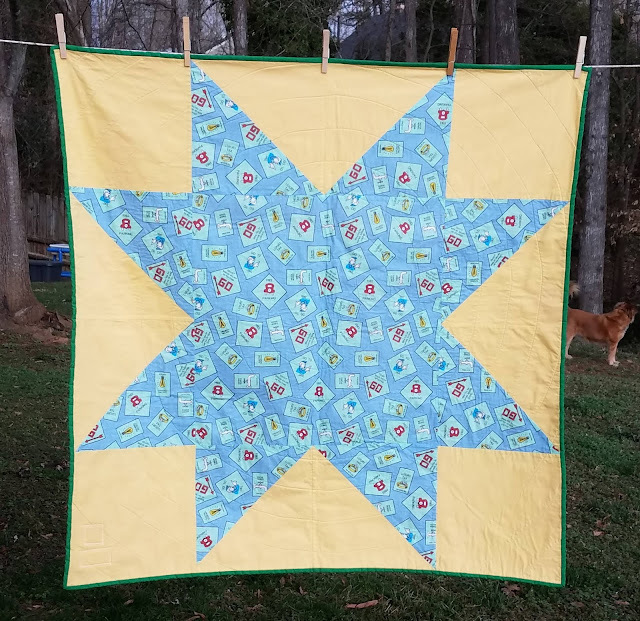 I completed 2 projects from that list in February, both for Project Linus, plus one project that was both started and finished in 2018. That puts me at 5 projects from the UFO list so far. I used 11.1 yards of fabric in February, bringing my yearly total to 20.4 yards used. I also made my first (and so far, only!) purchase for the year of 4 1/4 yards. 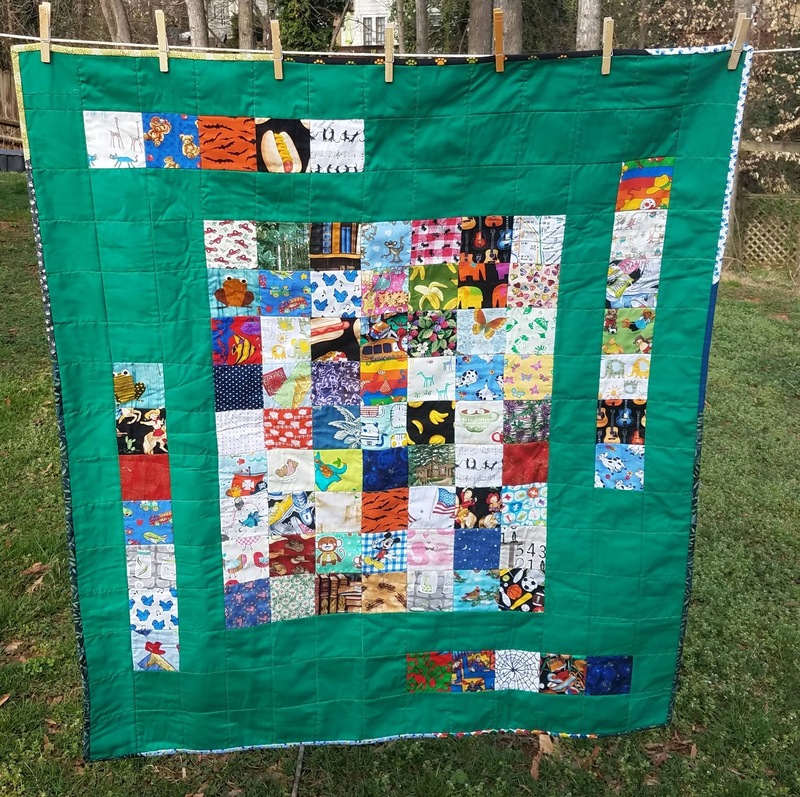 The local quilt guild's annual show is this weekend and I think I'm going to go, so the number of yards purchased may go up. I'm specifically looking for reds and hopefully I can limit my purchases to just red fabrics. February may be a short month, but I have to say you tackled it like a boss! That's quite a lot to be proud of accomplishing. Very fun bee blocks! Congrats on finding time to stitch the last two months, 86% is pretty impressive considering you have a little one at home. Thanks for linking up last week. Your progress to your PhD is going well, I hope you are able to accomplish your goal this year. I agree, February was very short this year, almost too short to be considered a month. Keep up the great work!